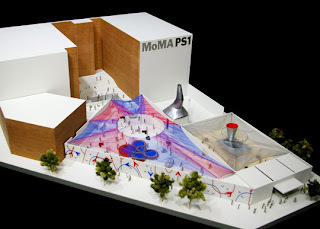 Taking as a starting point the relief we experience when we move between temperature extremes—from hot sunshine into a cool pool of shaded water, for example—Matter Practice’s proposal juxtaposes warm and cool areas throughout MoMA PS1’s outdoor spaces. 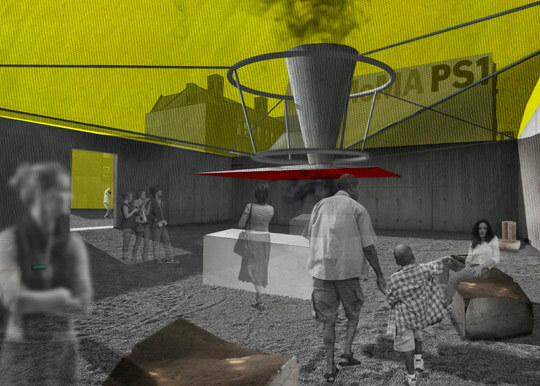 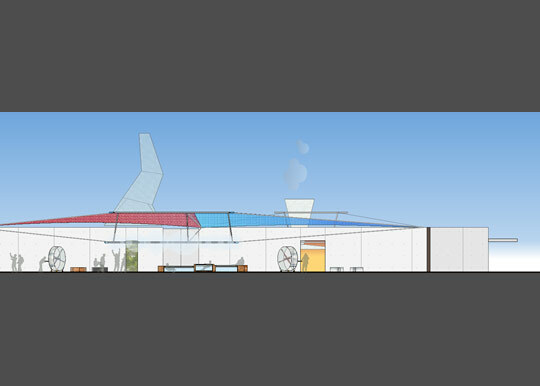 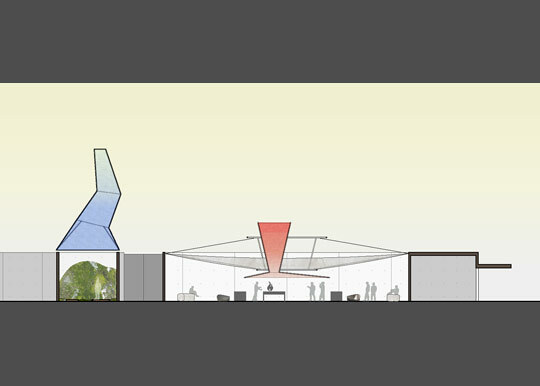 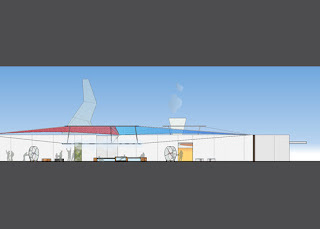 The firm proposes to install a cooling tower and a solar chimney in one of the small side courtyards, supplying cool air to the main area while venting heat. Moving between the ventilated and unventilated areas, visitors enjoy the relief of warming up or cooling down on a microclimatic level. 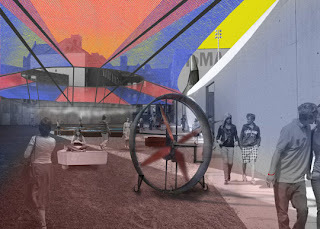 A colorful canopy shades the entire space, blocking ultraviolet rays and eliminating foundation supports at ground level.